I love this house that was featured on Design*Sponge recently. It belongs to Emma Reddington from the blog The Marion Housebook. 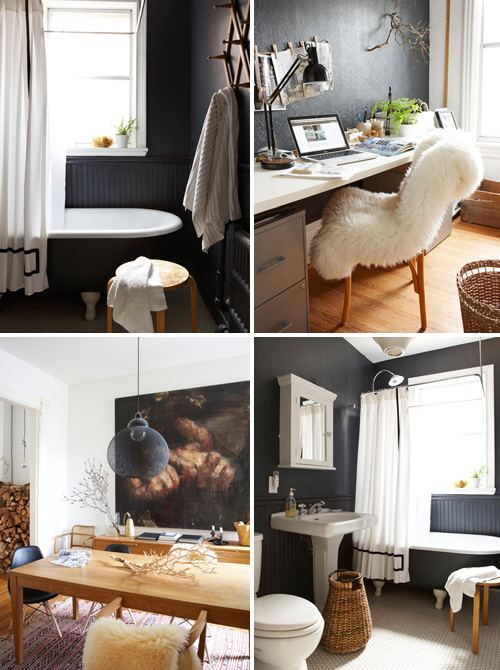 Emma has been living in this beautiful Victorian house in Toronto just over three years now. 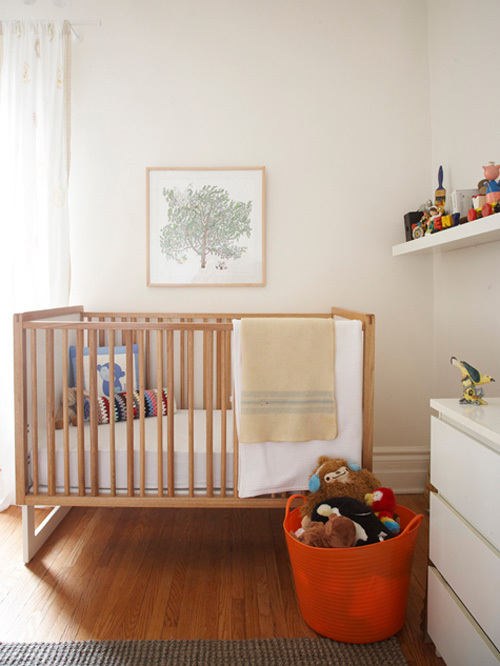 Emma documented the renovation and decoration of most of the rooms on her blog. 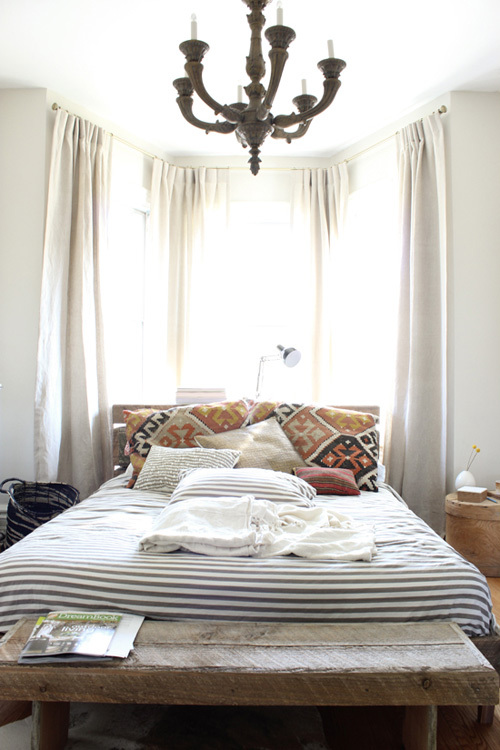 The cushions featured in the bedroom (top image) are made an old rug kilim rug. Furniture pieces such as the wooden bench and bed were designed by Emma herself. The house has lots of original Victorian details intact, like the fireplace and mouldings around the doors. Wow how beautiful it is! You could have convinced me that it was somewhere nice in Europe! I really like the living room with the huge painting and the study room with the furry chair! A beautiful, warm home. 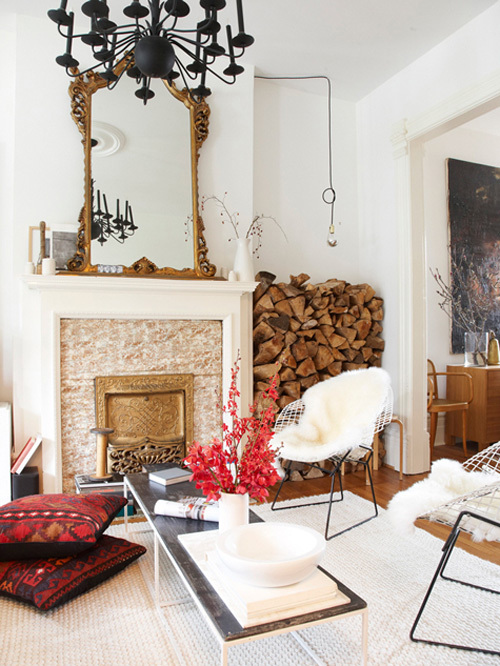 The living room is a lovely mix of rustic and modern and those pillows are gorgeous. I love that Emma is getting the credit she so thoroughly deserves! Thanks Danielle for the kind mention. about my home and blog. It really is a labour of love and I’m happy to share it with everyone!